Ramona will introduce her research process focused on the study of sound and computational art in the post-aural era, exploring the transformations and paradigm changes generated by new technologies. In the current project, she is working with listening systems through smartphone speakers, to draw the attention to this usually invisible technology, experimenting with different types of sounds, Linz soundscapes, the speech of internet translators or sounds generated with frequency manipulation and notification sounds. 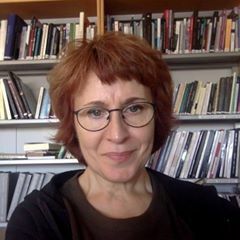 Ramona is a multimedia artist, Ph.D. candidate and holder of a research grant within the ‘Art: Research and Production’ program organized by the Universitat Politècnica de València. She is a member of the Laboratorio de Luz research group.